Also open Saturday & Sunday! Please call ahead to schedule! Aviation Training Center is owned and operated by Spence and Marie Campbell and has been in business since 1996. 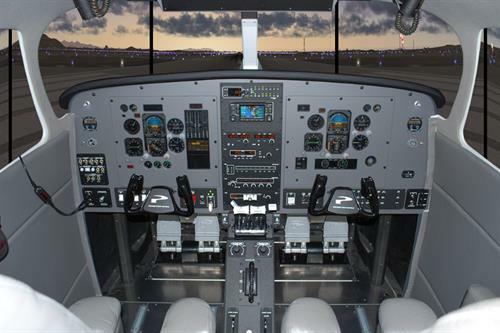 Aviation Training Center is a ground school, simulator, flight training, and airline interview preparation training facility. Formerly located in the Seattle area on Boeing Field, we are now located on the third floor of the Ace Aviation building in Renton. Located on the SE corner of Renton Airport. Enter the airport from the main entrance on Airport Way next to the ''Pathfinder'' statue. Turn right and follow the curve until you see the big red building!